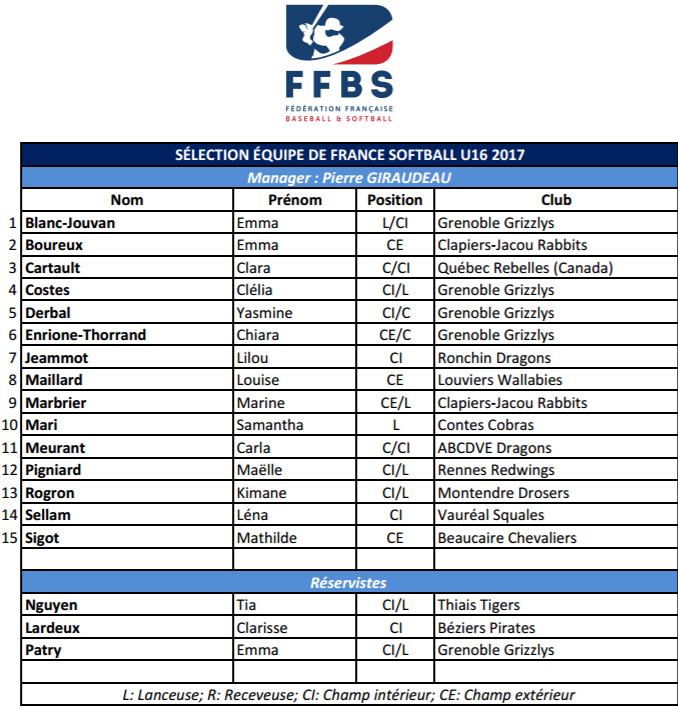 The French Baseball and Softball Federation (FFBS) announced their roster for the U16 Women’s Softball European Championship in Ostrava, Czech Republic. 15 players got selected by manager Pierre Giraudeau. The tournament is played from July 10 to 15. France faces Great Britain and Serbia in Pool D during the first round.